Have you been looking for the ideal Ford dealerships near you for buying new and used cars, only to come up empty handed? It shouldn’t be so difficult to locate reputable Ford dealerships in your area! When you need a trusted local dealer that can meet and exceed your expectations, there are a few key things you should look for. Of course, you’ll want to shop with a dealer who can supply a great selection of Ford cars for sale. Variety is the spice of life, and this couldn’t be truer when it comes to shopping for your next vehicle. To have the best chance of finding a car, truck or SUV that will keep you happy - you’ll need a wide range of different options to pick from. A broad and comprehensive inventory isn’t the only thing that a top Ford dealer in Waukesha will offer, however. To truly stand out from the competition, a dealership should have a team of committed car experts to help you in your car buying journey. Where can you find Ford dealerships in your area that offer all of this and more? The answer is clear. Ewald’s Venus Ford is your Wisconsin car shopping destination. For over 50 years, we’ve dedicated ourselves to one simple goal - to make car buying as easy as possible! With fair prices on an extensive array of the hottest selling new and used cars for sale, we’re here to help you locate a vehicle that will keep you driving happily for years to come. Our team knows cars inside and out, so they’ll be able to answer your questions and point you towards a vehicle that will suit your family’s needs and budget. If you need a vehicle that can work as hard as you do, then you won’t want to miss out on our selection of new and used trucks for sale in Wisconsin! We carry the full lineup of quality Ford pickup trucks as well as used truck options from some of the top truck makers in the nation. Whether you’re looking for a fully loaded, top of the line pickup or an affordable used truck to serve as your daily driver - Ewald’s Venus Ford has what you need! Ford pickup trucks have an enduring reputation for quality that just can’t be beaten. With tons of innovative features and powerful under the hood capabilities, our Ford trucks are built to perform. Which of these excellent truck options is the right fit for you? It can be hard to decide! If you’re looking for a classic and versatile truck that is well suited to a range of driving needs - the Ford F-150 is a rock solid choice. As Ford’s flagship pickup, the F-150 has been serving Wisconsin drivers well for generations. It’s been one of the top selling trucks on the market for many years, and it isn’t hard to see why! From the moment you get behind the wheel of this iconic truck, you’ll be blown away by the value that it brings to the table. The F-150 is packed with desirable features! Four-wheel drive options are available to make driving in all kinds of terrain and road conditions safer and easier. With robust 6 and 8 cylinder engine options, you’ll be able to pick the right configuration for your uses. Find the F-150 and countless other pickup trucks for sale at Ewald’s Venus Ford. So, you’re interested in a new or used Ford SUV with plenty of great features. Whether you’re a parent with a growing family or simply need a lot of cargo room - our Ford SUV models have something to offer every Wisconsin driver. Which one should you go with? Maybe you already have a clear idea in mind. 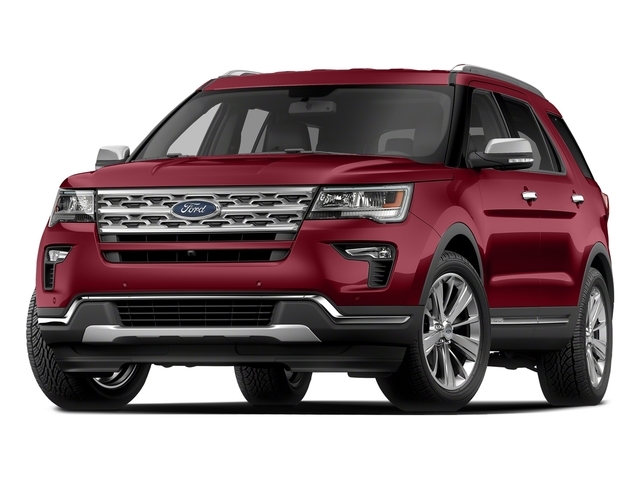 If you’re in the market for the spacious and feature packed Ford Explorer, then you won’t be disappointed! This SUV offers a ton of performance and convenience features. The capable 6 cylinder engines provide ample horsepower for highway driving. Safety is a top concern when you’re looking for Ford SUV models to get your family to your Waukesha destinations. You’ll be glad to know that the Ford Explorer scores 5-star safety ratings, and comes with a variety of the latest safety innovations. The rear backup camera will let you see directly behind your vehicle when backing up in cramped parking lots. Electronic stability control will help make sure that you enjoy a smooth driving experience in all kinds of conditions. When it comes to the interior, the Explorer is sure to impress even the pickiest buyers. Third-row seats provide a great amount of seating space, and they fold down for extra cargo room when you need it! Available leather seats lend a luxurious touch to the spacious cabin and make cleanups a breeze. Find this and countless other new and used Ford SUVs at Ewald’s Venus Ford.